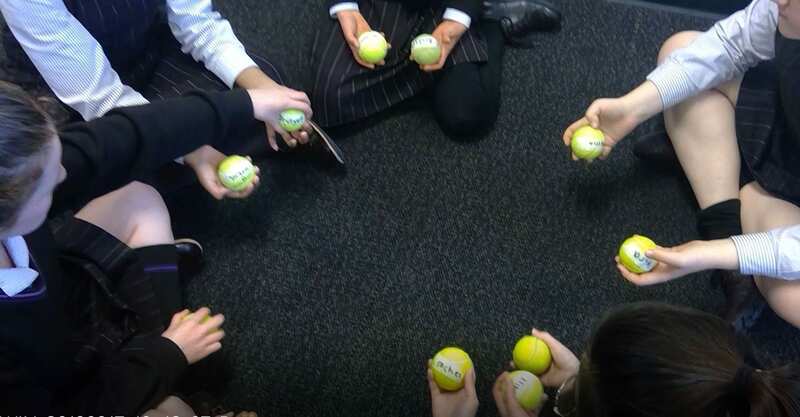 The ‘Orange Game’ is a great higher order thinking game and only requires some masking tape, a texta and two tennis balls (or oranges, hence the name of the game) per student. You can download the game instructions by following this LINK. I used the game with my Year 7 Digital Technology class to demonstrate routing and deadlocks in networks. The basic idea behind the games is that when you have a lot of people using one resource (such as cars using roads, or messages getting through the Internet), there is the possibility of “deadlock” and a way of working cooperatively is needed to avoid this happening. Some students catch onto this game rather quickly, whilst others need a little more time. Note, you don’t have to use this game to demonstrate deadlock, you can simply play it to encourage team work and problem solving.